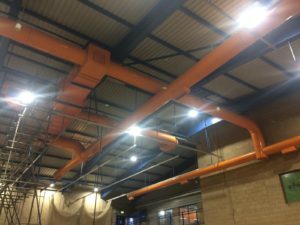 SpaceVac’s internal cleaning system was developed specifically to provide a flexible cleaning system that could be used in a number of different areas. 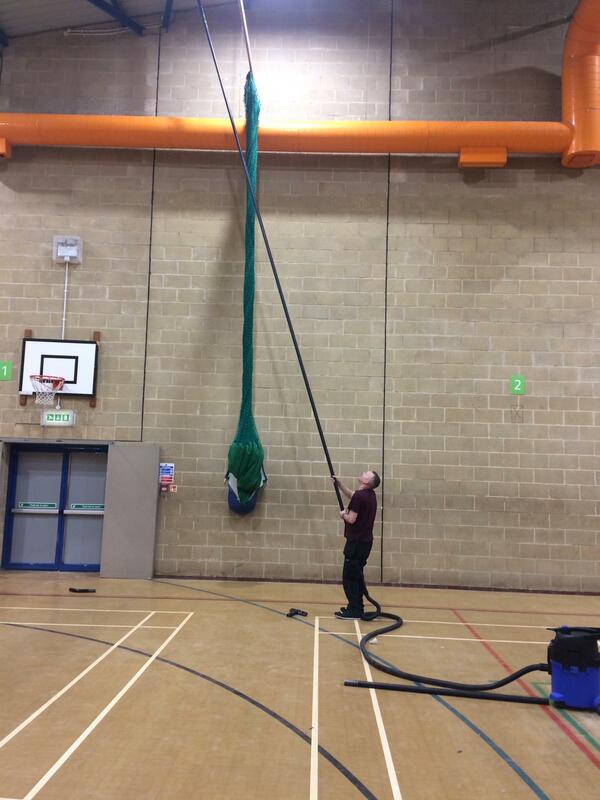 By developing a dedicated range of tools and flexible brushes and add-ons, the system has grown to one that is equally at home in a range of specialist cleaning environments from cinemas to museums, from schools to airports. 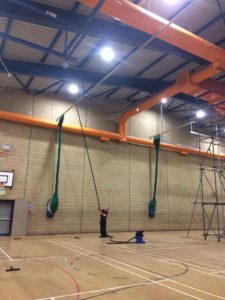 Last week our specialist cleaning division were working in the south of England bringing a huge public leisure complex back to its former glory. 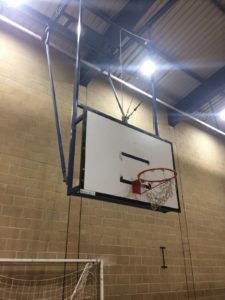 Leisure centres have proven to be a very popular market for SpaceVac, as the architecture within these spaces often feature not only high-clearance ceilings but also a range of built in obstacles and dust traps from vents and ducting to beams and basketball hoops. 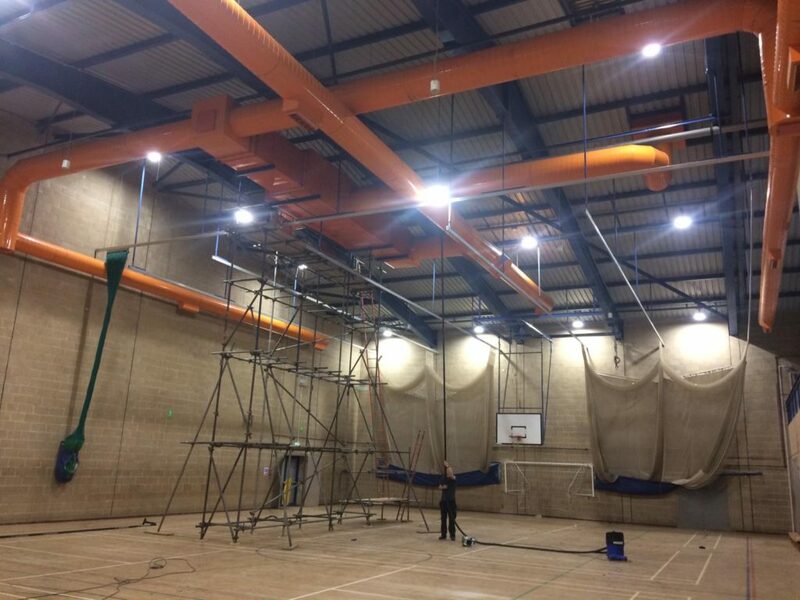 The coming weeks will see the team working throughout the building – including cleaning over and above the swimming pool – an area that has previously been literally impossible to clean – but to begin with, we spent the week in some of the larger rooms like the basketball courts shown below where our lightweight pole system, easily reached these areas without the need for any of the expensive time consuming access equipment that might have ordinarily been used to reach such as scaffolding or scissor lifts. 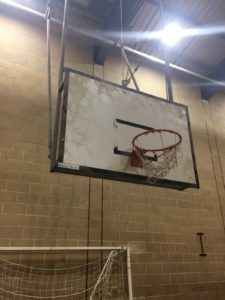 These areas featured a number of built in obstacles for the system to work around and in addition to the fact that these high-level areas hadn’t been cleaning since the facility was opened meant the team had quite a challenge in front of them! 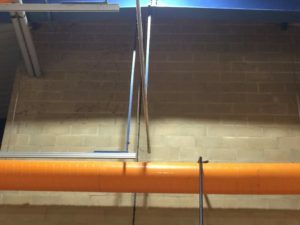 By the end of the week we had amassed quite a collection of shuttlecocks from the rafters and the team onsite were happy with the results as you can see from some of the before and after shots below. In the meantime – to talk to us about your own specialist cleaning requirements and to see how SpaceVac could help you and your teams onsite, please contact us today!